Yummy! Scooby snacks! 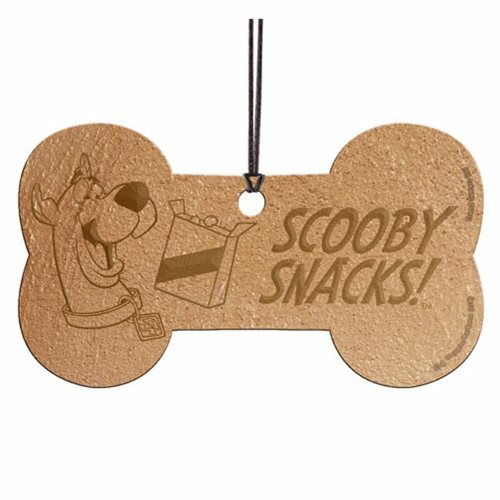 Shaped like a doggie bone (of course), this Scooby Doo Dog Treat Hanging Acrylic Print features those words along with an image of Scooby and a box of his goodies. It measures about 3 1/2-inches wide x 2-inches tall. Hang it in a window or on your Christmas tree, attach it to your bag or a present, or enjoy it as you wish!